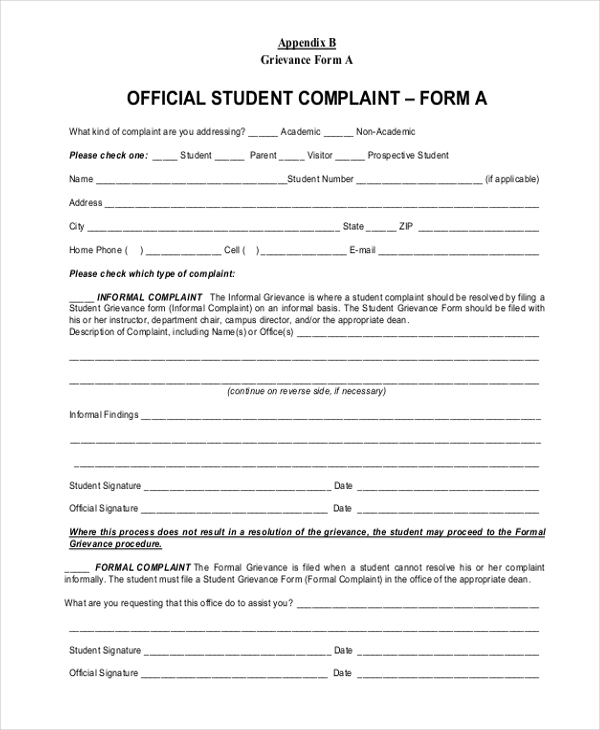 A student official complaint form is a type of form which is filled by a student to lodge a complaint in the Students’ grievance cell. Usually, the complaint can either be related to academic or non-academic purpose. The complaint can be formal or informal, signed by the director or dean of the campus. 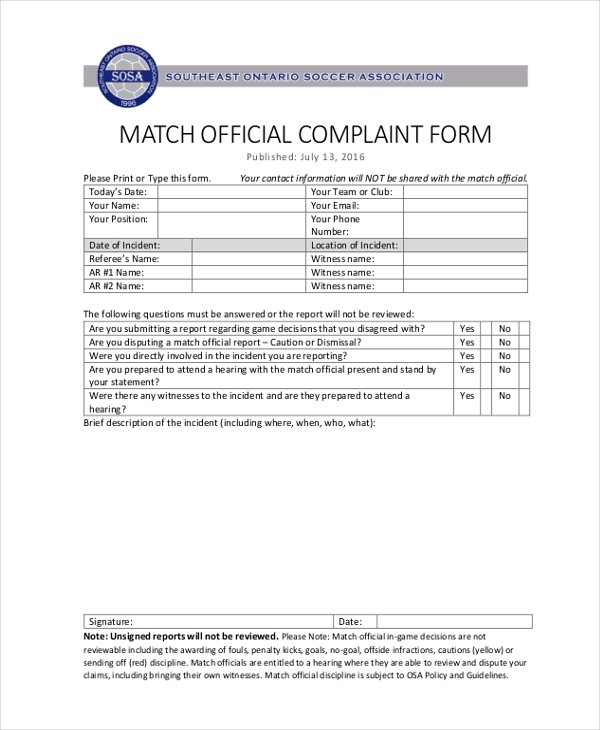 Match official complaint form is a type of form which helps to address the problems of sports players if they believe proper judgment has not been provided to them during a match. They can report if any justice is not done to them during the ongoing of a match or report if they find partiality or unfair means have been administered during a match. 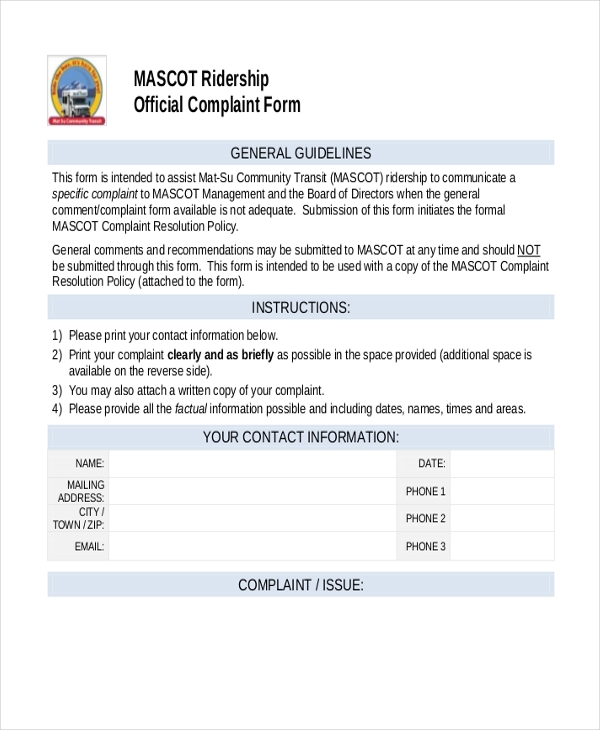 Ridership official complaint form is a kind of form which helps to address the official grievances of the riders if they have any, regarding the drivers or operation managers. The form has been customized with all the required information that is required for the purpose. It is a type of form which can be filled by individuals if they believe that their problems against any organization or institution are not addressed well and are not resolved. Such forms are used by various individuals getting a quick response and solution to the stated problem. Club official form is a type of form which helps to address the complaints lodged by individuals to the higher authority if they believe that an employee from the organization is violating the rules prescribed by the organization. 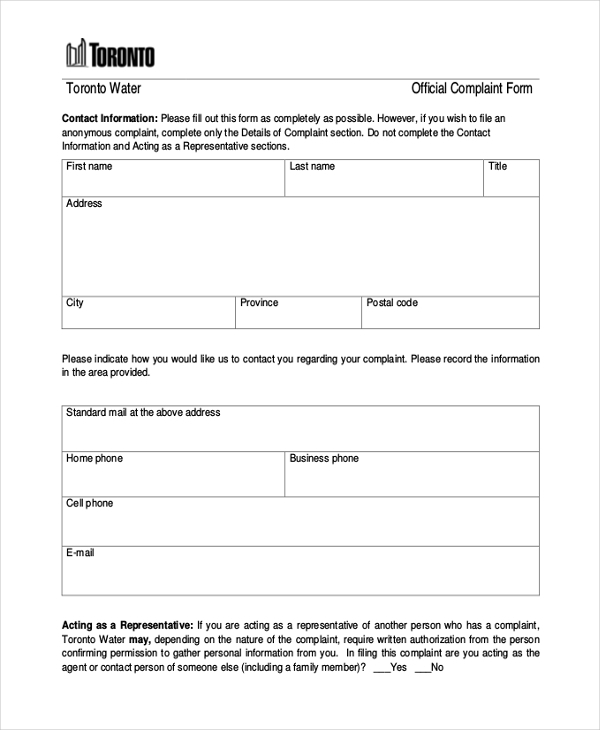 Toronto Water Official Complaint form is a kind of form where the citizens or homeowners can directly send a written complaint and address their grievance issues to the organization if they believe that proper action is not implemented by the Toronto Water Staff. It is a type of form which helps the individuals to receive a fair resolution to their complaints. Such forms are looked over by the responsible persons and the board of directors of the National Capital Commission. 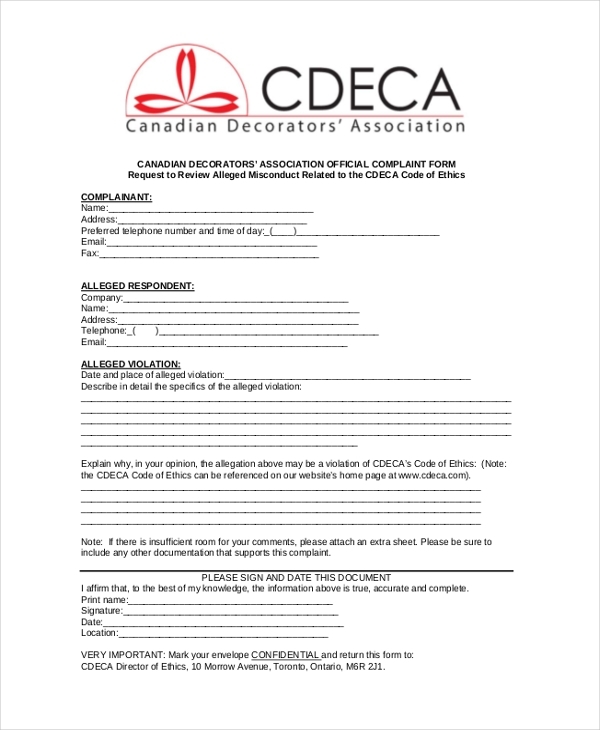 The Canadian Decorators’ Association official complaint form is a type of form which provides a solution to the individuals in addressing their complaints related to any misconduct done to the ethics of the organization which is reviewed by the officials and higher authorities of the Directors’ Association. 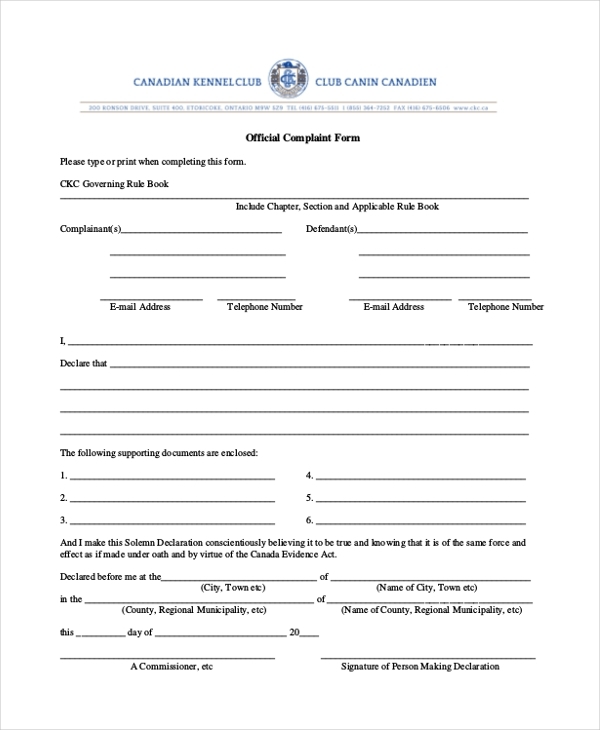 What is an Official Complaint Form? 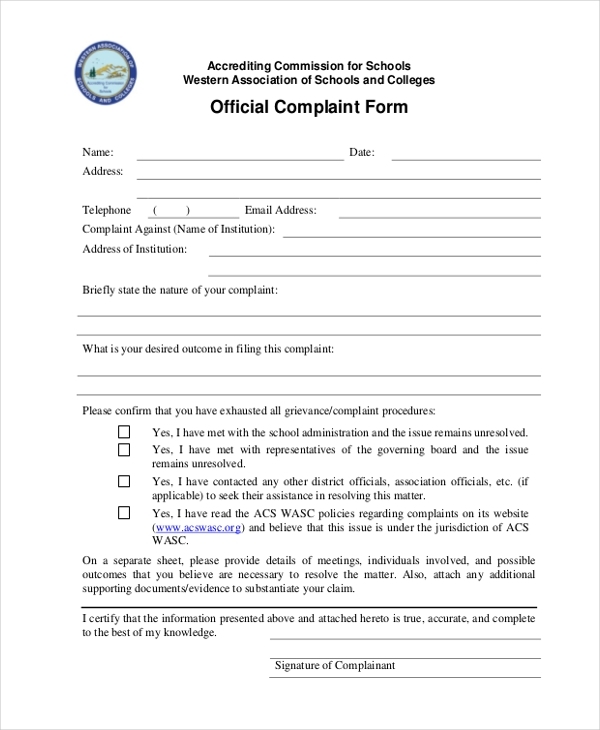 The target audience for such an official complaint form are the individuals want to lodge their grievances as well as the higher authorities of any organization who want the problems to be heard from the common people. 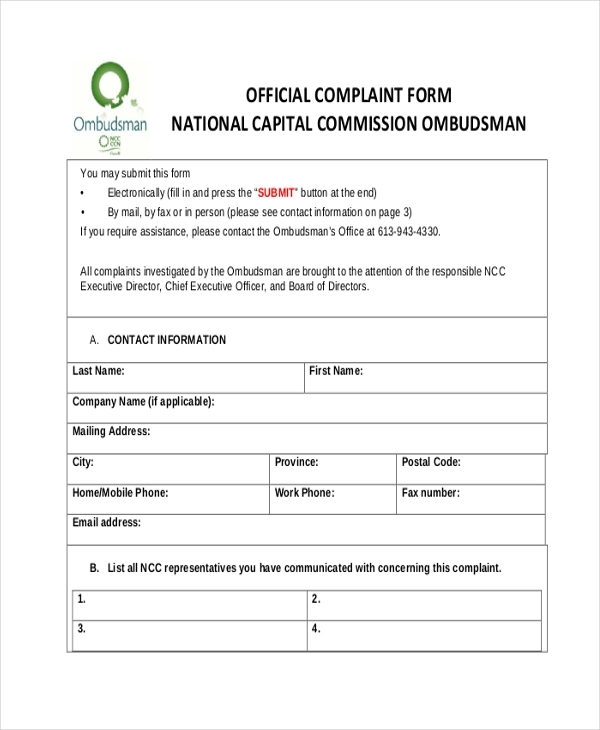 The purpose and use of such an Official complaint form are diverse when an individual feels certain code of ethics are not followed by any organization, he/she can directly report it to the concerned authorities to solve the issue. An Official Complaint form is a very much essential form which helps an individual to exercise his/her right in order to receive justice from any problem which the individual feels it is done unjustly or is breaking any code of ethics by an organization.